Elvin Jones and Armand Zildjian were extremely close friends since they first met in the 1950s. 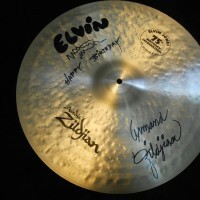 Armand Zildjian held a party to celebrate Elvin’s 75th birthday on September 9th, 2002 in New York City. 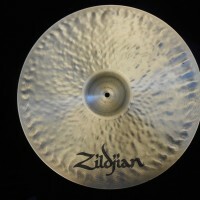 He custom made this cymbal for Elvin as a birthday gift. 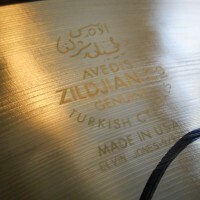 The cymbal is laser engraved “ELVIN JONES 9/9/02” under the Zildjian engraved logo. 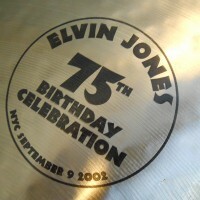 The cymbal is ink stamped “Elvin Jones 75th Birthday celebration, NYC September 9 2002”. 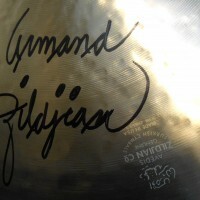 The cymbal is hand signed by Armand Zildjian in black Sharpie along with a hand written “ELVIN Happy Birthday” graphic. COA is singed by Elvin’s wife and seller. 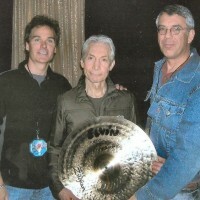 See the photo of Rolling Stones drummer Charlie Watts checking out this cymbal on a recent visit to Seattle.